The Alma is one of Louis Vuitton's most iconic bags. As part of the permanent collection, the Alma in Damier is a classy addition to your collection. The Alma includes the lock and key, similar to the new "lockit" bags in LV's most recent collections. Navigate to www.louisvuitton.com for more information. If you're looking to jazz up one of your handbags, check out mini-scarves that you can tie onto your bag's handles. 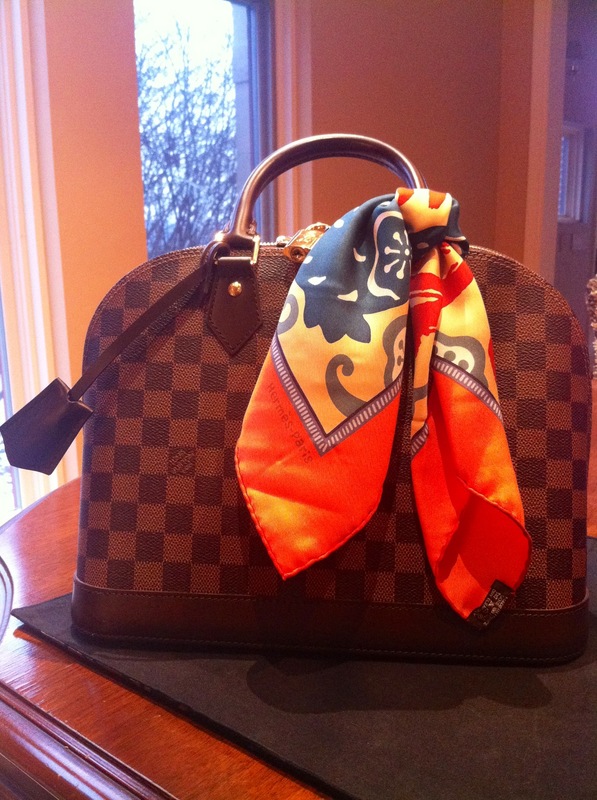 For this piece, I chose an orange L'Année du Dragon silk twill scarf to spice up this bag. Check out www.hermes.com for more info on other scarf options.